Have the urge to shoot at things, but don’t want those things to look like people, animals, or other living creatures? Well, Archery King might be right up your alley. As the title suggests, it’s a target-shooting, arrow-flinging affair, and truth be told it’s pretty sterile: there’s little in the way of personality, but also nothing to get upset about. Aim and fire, rinse and repeat. Archery King provides some diverse settings for its shootouts. 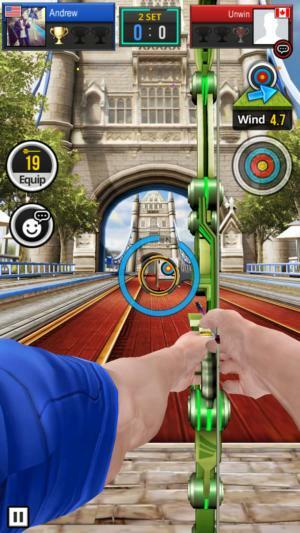 Archery King might not be the most thrillingly-presented game we’ve seen on the App Store, but it succeeds where it really counts: solid core bow-and-arrow action and live online duels that let you trade shots with random opponents from halfway across the world. That sort of reliable fun has kept the game near the top of the free charts in recent weeks, but what happens once you start pumping money into it? Miniclip’s latest sticks to the basics of target shooting: aim at the bullseye, adjust for wind and distance, and let the arrow loose. We’ve seen strong simulations of this with console games like Wii Sports Resort and Sports Champions, and it works quite well on a touchscreen as well. You’ll simply hold down a finger to pull back the arrow, move that finger around a tad to adjust your aim, and the release to fire. Easy enough to figure out, no? Each locale has a buy-in cost for a single match, and it can be very pricey. Of course, sorting out the correct aim adjustment for each environment and distance requires some skill, and you can prove your supremacy in the online battles. The Classic mode pits you against another player in a relatively slow-paced, turn-based shootout in a best-of-three duel with two arrows fired in each. If that’s not frenzied enough, the Rush mode challenges you to notch the highest total score possible by firing a rapid volley at a moving target. Archery King also has quite a bit of single-player content, with the Challenge mode offering 120 quick missions to complete. They’re pretty easy, at least on the early end, but serve as a good way to hone your abilities before facing real competition. 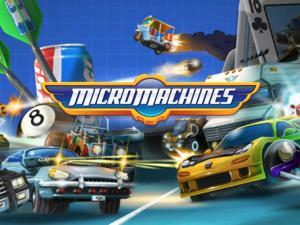 Meanwhile, the Time Race mode tasks you with zipping through 30 missions as quickly as possible, yet it has its own stamina meter that can be refilled using real money, so it’s a mode that only big spenders will really be able to dominate. 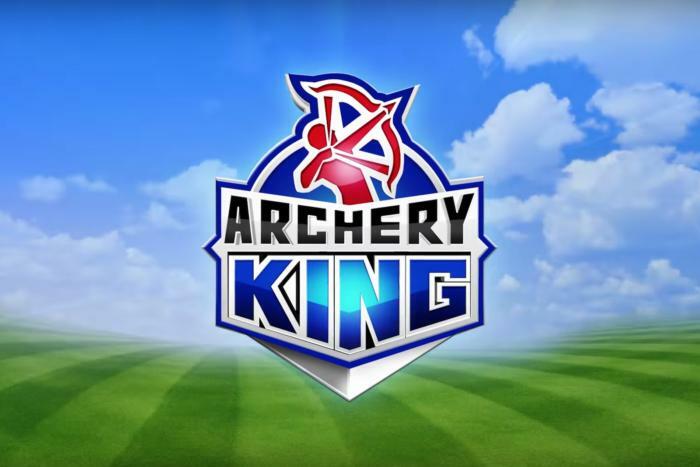 Overall, however, there’s quite a bit to play here without needing to invest a penny, yet Archery King is so swayed by in-app purchases that any semblance of competitive balance is completely dashed. Buying enough in-game cash to afford this bow would cost you more than $50 in real money. To be fair, you can have plenty of fun without buying anything, and Archery King offers a number of ways to gradually accumulate in-game funds for buying some perks. 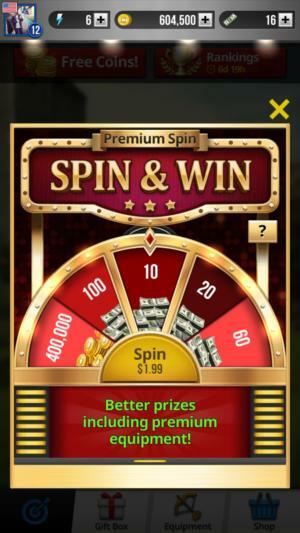 You get a free daily spin for coins or cash (the premium currency) and can also redeem free coins after every hour, with the ability to get plenty more by watching video ads. That has become a very common freemium technique of late, and in my view, trading 30 seconds of time for a small bounty of currency isn’t a bad deal. For 1,000 free coins here? Sure. Coins are required to enter the online competitions at any level, with 500 coins needed on the low end and a staggering 4,000,000 coins required to play a single game in the Lord’s Castle arena. Winning a match means you’ll double your investment, so with a fair amount of success, you can build a sizable treasure trove of coins—and then decide if you want to take bigger risks by vying for the larger pots in the pricier arenas. However, coins aren’t solely used to buy entry tickets: they’re also used for an array of optional equipment, all of which can quickly improve your game. 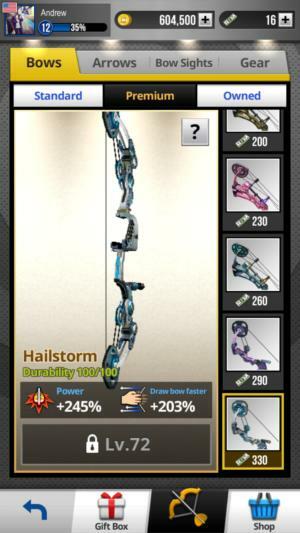 There are standard bows, arrows, sights, and other gear that can be purchased with coins, as well as premium options only available via the premium in-game cash (sold in bundles up to $100). A better bow, for example, can enhance the power of your shots and how quickly you draw the bow, while the sights can improve your accuracy by offering boosted zooming capabilities. You’re gambling with these $2 spins, but at least you’ll get something out of it. Giving a novice a top-tier bow won’t automatically turn him or her into a markedly better player, but the higher-end gear can bring a sizable advantage and provide a clear difference between two evenly-matched opponents. You also have to pay in-game money to repair gear after it has been used a certain amount of time, and keep buying packs of the better arrows when you run out, so there’s an ongoing investment for the good stuff. It can add up, especially if you find that the competitive edge makes a big difference in your game. Like in real life, it’s easier to make more money when you already have money, as you’ll gain access to the pricier competitions and can quickly grow your coins with successful play. 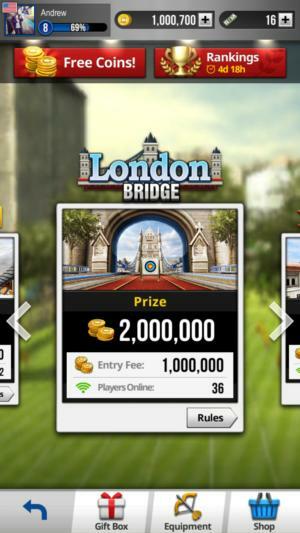 I spent $10 on a starter pack that gave me some better gear and enough coins to enter the London Bridge competition at an entry cost of 1,000,000. And I won that duel, quickly doubling my cash. I also spent $2 on a premium wheel spin, but ultimately just won about the same amount of coins I could have bought for that sum. Shrug. Archery King’s shootouts entertain, and if you don’t think too hard about the myriad benefits available for purchase, it’s plenty enjoyable as a light distraction. You might get roughed up regularly by the competition, however, and you won’t know if they’re just that good or they shelled out for advantages. A little blissful ignorance can go a long way here. But when you think about that side of the experience, however, the appeal might fade—particularly if you’re not interested in spending much money within. That’s where I ended up: I spent a little cash for an early boost and had enough to elevate my game, but I’m not enthralled enough to try and keep up with the big spenders. Online competition is only truly satisfying when you feel like you’re coming from the same starting point, and the obvious ability to pay for perks takes away from Archery King’s charm over time.